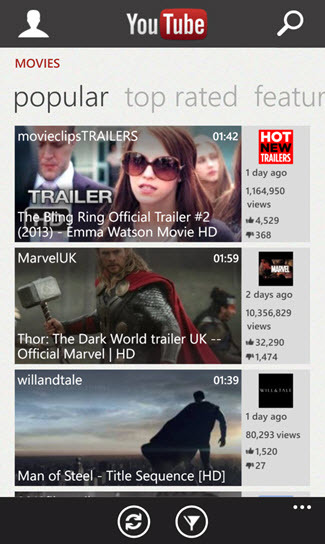 Microsoft released a completely new YouTube app for Windows Phone 8. A new and innovative playlist design gives you easy access to videos using a touch-friendly filmstrip. video now plays in the background even when the screen is locked.